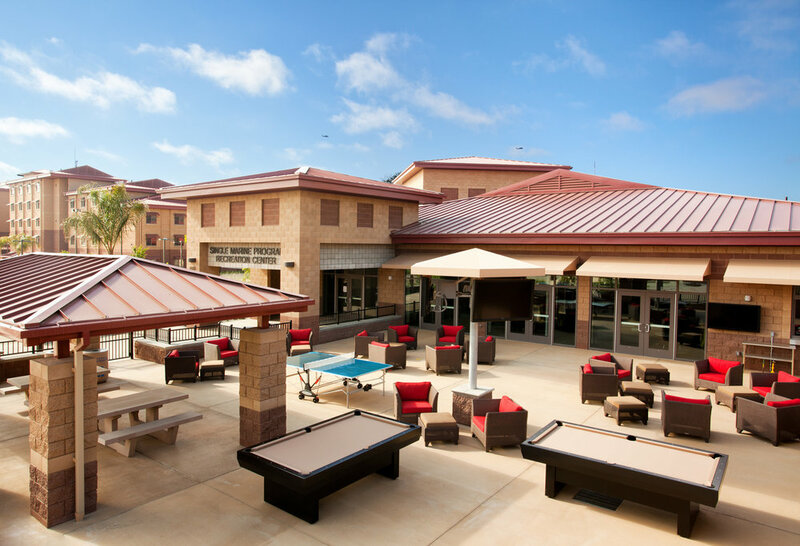 This design-build, campus-like project consists of three MCON projects, P-1012 ANGLICO Complex, P-1016 Recon Battalion Complex and P-1067 Bachelor Enlisted Quarters (BEQ). P-1016 the Recon Battalion Operations Complex is organized into two subgroups. The first subgroup is Recon Compound site which includes development of a new Battalion Headquarters, Battalion Aid Station, Warehouse, Applied Instruction/Paraloft, Communications/ Electronics/ Auto Org Shop, Wash Rack, Armory, and two-story Parking Structure. 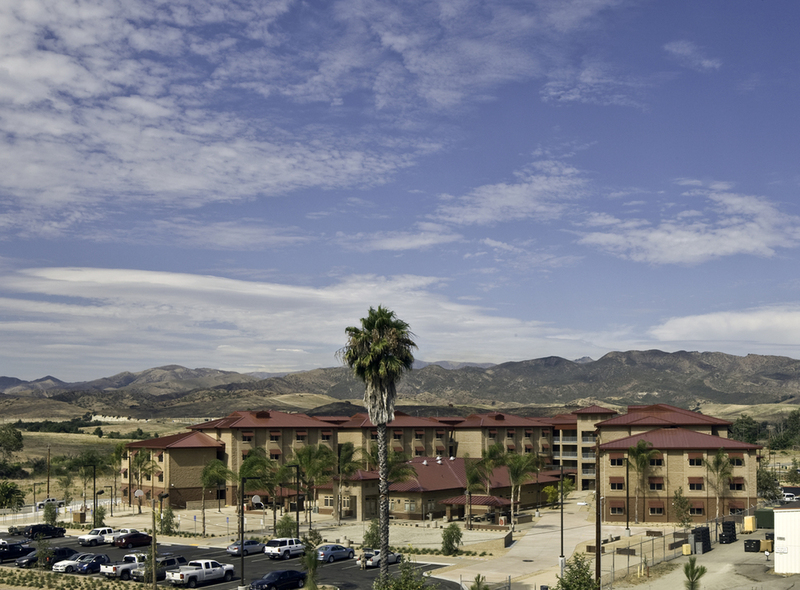 The second subgroup is Community and Core Services Facilities which includes development of a new Emergency Response Station, 30,008 SF Fitness Center/Single Marine Center (Depicted), Location Exchange, Mail Distribution Facility, three-story BEQ Parking Structure and Communications Distribution Frame Building. P-1067 BEQ Las Flores includes site development of a new five-story BEQ and Community Building. The five-story BEQ and Community Building are located within the new BEQ Community Complex Site. P-1012 ANGLICO Complex includes site development of a new Brigade Platoons Building, Communications/ Electronics/ Auto Org Shop, Wash Rack, renovation of a Warehouse, and an Applied Instruction Building.